Ram Charan is also caught up with the production works of his father, Chiranjeevi’s upcoming film Sye Raa Narasimha Reddy. Mega Power Star Ram Charan is currently shooting for his upcoming film Rangasthalam 1985 which is being directed by Sukumar. Set in a rural backdrop, Rangasthalam 1985 is being produced by Mythri Movie Makers and features Samantha Ruth in the other lead role. The film is said to have Ram Charan playing a unique role which he never tried in his films so far. 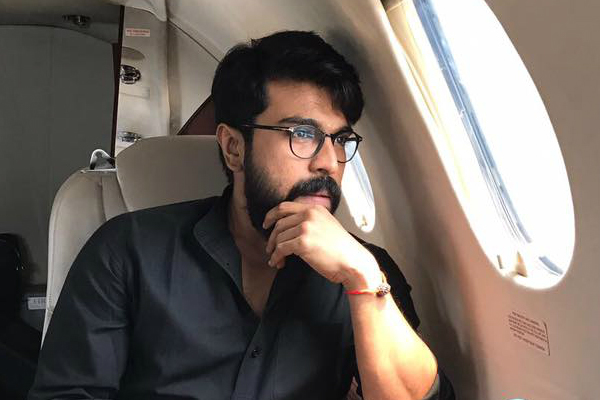 The latest schedule of Rangasthalam included action episodes involving Ram Charan which were quite hectic. And after wrapping up the schedule, Ram Charan is all set to a break, according to reports. “Charan was working on a long action sequence since the last few days. Now, he got a one-week break and has decided to spend it at some nature cure centre in Kerala. Actors have to work hard to do these action scenes and sometimes they get some bruises too. So, it’s good to take a few days’ break,” a report in DC quoted a source from the unit. Ram Charan is also caught up with the production works of his father, Chiranjeevi’s upcoming film Sye Raa Narasimha Reddy which is about the one of the first freedom fighters of India – Uyyalawada Narasimha Reddy. The film is being produced under their home banner Konidela Productions and is being directed by Surender Reddy. Sye Raa Narasimha Reddy has a star-studded cast which includes Bollywood top star Amitabh Bachchan, Kannada super star Kichcha Sudeep and Tamil actor Vijay Sethupathi. Actress Nayanthara will be seen playing an important role in Sye Raa Narasmiha Reddy.